Monroe County SO in Marathon requested 12 TERT Members to work A/B (6 on each shift with 1 team Leader to each shift) 6 a.m. to 1800. Team 1- Broward Sheriff Office with a team of six (6) arrived yesterday, Sept. 16, and have taken the lead in helping our Monroe Dispatchers get back on their feet again. Team 2- PBCFR-PBCSO-Apopka PD arrived this afternoon and ready to work the Bravo shift tonight. TERT Members are doing well and supporting our locals. We are now monitoring Hurricane Maria and pre-planning our efforts. We have received emails, texts, Facebook post from many of you and we thank you for your support. Please continue to support our TX-TERT Teams who continue to support their locals and are in recovery mode. Please follow us on FL-TERT Facebook page and Twitter. Drove to Marathon to visit the locals and meet the TERT Teams. Driving there it was apparent all the devastation left behind by the hurricane but loved the spirit of the Keys community when I spotted a jagged wood sign “Welcome Home” #KEYSSTRONG. That they are, very resilient kind of people that will rebuild again. Upon arrival, I was met by Lt. Sprinkle and went to their backup center where our 911 center has been working out of. Tight in space, they moved with ease and were busy answering and dispatching calls. I bought some “pastelitos” Cuban pastries and Cuban/coffee ensuring they stay energized. Everyone seemed in good spirit and doing their best under the circumstances. They are working on bringing up their PSAP to full capacity so they can move back into their nice center. Many of our Florida Telecommunicators have been impacted in some way and we are happy that GA & TN came to our aid to ease the burden. We will continue to support the Keys with another team to arrive on Thursday to relieve the team there now. We have posted pictures of each PSAP we are deployed to on FL-TERT Facebook page. Today Team # 3 arrived ready to continue the awesome work done by Team 1 & 2 this past week. Upon arrival, they were introduced and trained on the CAD System, were provided with a “cheat sheet” on Monroe’s procedures and will begin their tour of duty on the ALPHA shift. I would like to take a moment to thank Team Leader, Deidre Bruton from BSO for her exceptional leadership skills this past week in working with the team and taking care of our Dispatchers in Monroe. Your support was invaluable to me. We will continue to support Monroe and will assess this week for another deployment by September 26. Alpha shift had a good day working out of their own PSAP. Team 2 said their goodbyes and Team 3 began their tour today. Working days at their 911 center has made it easier and given them some breathing room. The Keys was impacted hard and the 911 center continues to receive a high amount of calls to process. Team 3: Largo PD, Palm Beach Garden PD, Boynton Beach PD, Coral Springs PD, Palm Springs PD. Calls continued to come in at a steady pace on days. Bravo, as expected, is lower as many still do not have power. The team is doing well and are happy to be serving our Monroe dispatch family. Their hospitality is amazing and welcomed despite all they are going through. New team of six (6) arrives on Monday, September 25, to begin orientation and crash training. Meet Lt. Charleen Sprinkle. 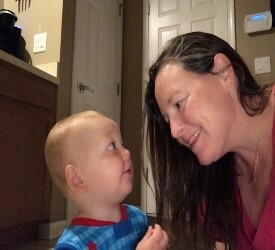 After 18 days, she flew to Tampa to see her son who is staying with family. Much needed recharge for one day before returning tonight back on duty at MCSO. 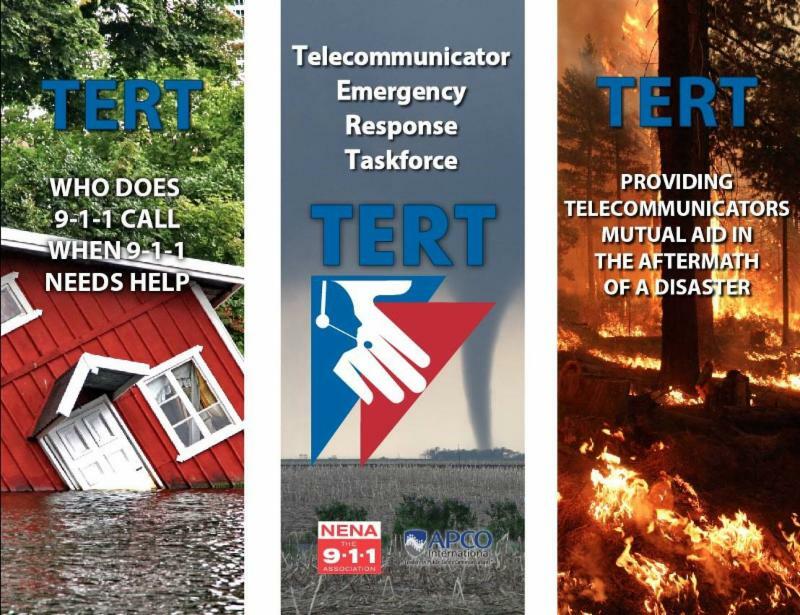 Take a moment to check out our photo gallery of pictures on the FL-TERT Facebook page and see our TERT Teams in action. BSO & St. John’s have arrived at MCSO. OCSO is not arriving until noon tomorrow. Team has met the Lt. and are registering at the EOC. There has been a change in sleeping quarters for our teams. It seems that Tent City at airport was very hot during day. Lt Sprinkle gave us a room at the 911 center on the 2nd floor. It has A/C. Lt. will be checking call volume this week and advice if another team would be needed. Her dispatchers have taken time needed and seem to be in a “better place” now. Lt advises they are semi-getting back to normal operations. They dealt with some issues with their 911 Ali. ATT is on their way to fix. They still have one radio tower on generator. They are receiving calls of property being taken that has been placed outside the homes. Neighbors dispute. Calls on curfew status. Curfew is from midnight to 1800. It has been lifted in Key West and some of the other Keys. Team # 4 comprised of BSO, St. John’s PD and OCSO were scheduled to be released on Saturday, Sept. 30. A release of a weather threat of a tropical disturbance that will affect the Marathon Airport Base continuing through Tuesday, prompted me to ask Lt. to consider releasing team tomorrow to ensure a safe travel home. Lt. agreed and ask for a 0800 release of Alpha team. Both A & B Team #4 were notified and are preparing to travel tomorrow. Mission # 4583 will be completed.